For the most up-to-date listing of our publications, please visit Google Scholar. Kolenc OI, Quinn KP (2019). Evaluating Cell Metabolism Through Autofluorescence Imaging of NAD(P)H and FAD. Antioxidants & Redox Signaling, 30(6), 875-889. Jones JD, Ramser HE, Woessner AE, Quinn KP (2018). 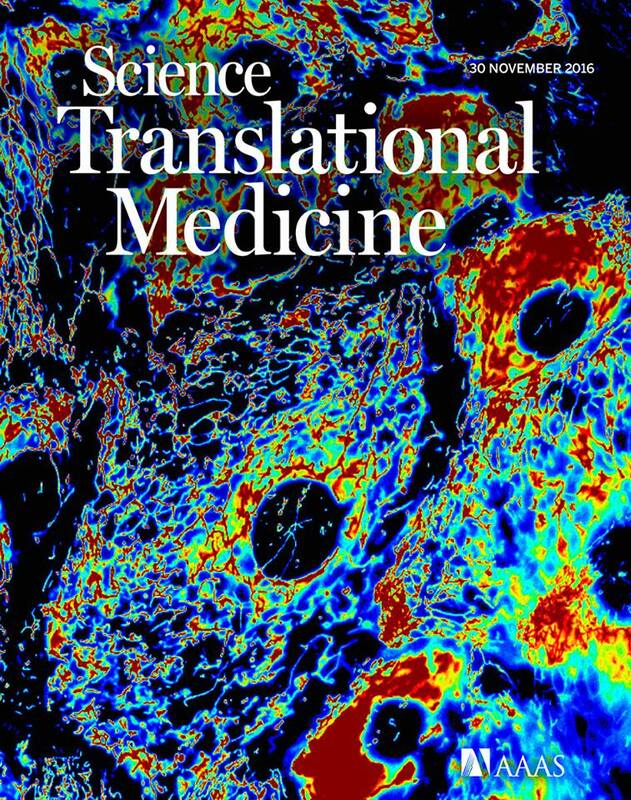 In vivo multiphoton microscopy detects longitudinal metabolic changes associated with delayed skin wound healing. Communications Biology, 1, 198. Liu Z, Speroni L, Quinn KP, Alonzo C, Pouli D, Zhang Y, Stuntz E, Sonnenschein C, Soto AM, Georgakoudi I (2018). 3D organizational mapping of collagen fibers elucidates matrix remodeling in a hormone-sensitive 3D breast tissue model. Biomaterials, 179, 96-108. Liu Z, Pouli D, Alonzo CA, Varone A, Karaliota S, Quinn KP, Munger K, Karalis KP, Georgakoudi I (2018). Mapping metabolic changes by non-invasive, multi-parametric, high resolution imaging using endogenous contrast. Science Advances, 4(3), eaap9302. Golberg A, Villiger M, Broelsch GF, Quinn KP, Albadawi H, Khan S, Watkins MT, Georgakoudi I, Austen WG, Bei M, Bouma BE, Mihm MC, Yarmush ML (2018). Skin regeneration with all accessory organs following ablation with irreversible electroporation. Journal of Tissue Engineering and Regenerative Medicine, 12 (1), 98-113. Baugh LM, Liu Z, Quinn KP, Osserian S, Evans CL, Huggins GS, Hinds PW, Black LD, Georgakoudi I. Non-destructive two-photon excited fluorescence imaging identifies calcific nodules in calcific aortic valve disease. Nature Biomed Eng, 1 (11), 914. Jones J, Belov V, Quinn KP (2017). Functional imaging of wound metabolism. Bioengineering in Wound Healing: A Systems Approach. Golberg A, Yarmush ML, Eds., World Scientific Publishing Co. Pte. Ltd., 201-230. Stuntz E, Gong Y, Sood D, Liaudanskaya V, Pouli D, Quinn KP, Alonzo CA, Liu Z, Kaplan DL, Georgakoudi I (2017). Endogenous two-photon excited fluorescence imaging characterizes neuron and astrocyte metabolic responses to manganese toxicity. Scientific Reports, 7 (1), 1041. Liu Z, Pouli D, Sood D, Sundarakrishnan AK, Hui CK, Arendt L, Alonzo CA, Quinn KP, Whalen MJ, Kuperwasser C, Zeng L, Schnelldorfer T, Kaplan DL, Georgakoudi I (2017). Automated quantification of three-dimensional organization of fiber-like structures in biological tissues. Biomaterials, 116, 34-47. Yildirim M, Quinn KP, Kobler JB, Zeitels SM, Georgakoudi I, Ben-Yakar A (2016). Quantitative Differentiation of Normal and Scarred Tissues using Second Harmonic Generation Microscopy, Scanning. 38 (6), 684-693. Quinn KP, Leal EC, Tellechea A, Kafanas A, Auster ME, Veves A, Georgakoudi I (2016). Diabetic wounds exhibit distinct microstructural and metabolic heterogeneity through label-free multiphoton microscopy. Journal of Investigative Dermatology, 136(1): 342-4. Abbott RD, Borowsky FE, Quinn KP, Bernstein DL, Gerogakoudi I, Kaplan DL (2016). Non-invasive assessments of adipose tissue metabolism in vitro. Annals of Biomedical Engineering, 44(3): 725-732. Bellas E, Rollins A, Moreau JE, Lo T, Quinn KP, Fourligas N, Georgakoudi I, Leisk GG, Mazan M, Thane KE, Taeymans O, Hoffman AM, Kaplan DL, Kirker-Head CA (2015). Equine model for soft tissue regeneration. Journal of Biomedical Materials Research Part B 103(6): 1217-27. Liu Z, Quinn KP, Speroni L, Arendt L, Kuperwasser C, Sonnenschein C, Soto AM, Georgakoudi I (2015). Rapid three-dimensional quantification of voxel-wise collagen fiber orientation. Biomedical Optics Express 6(7): 2294-2310. Golberg A, Khan S, Belov V, Quinn KP, Albadawi H, Broelsch GF, Watkins MT, Georgakoudi I, Papisov M, Mihm MC, Austen WG, Yarmush ML (2015). Skin rejuvenation with non-invasive pulsed electric fields. Scientific Reports 5: 10187. Bellas E, Rollins A, Moreau JE, Lo T, Quinn KP, Fourligas N, Georgakoudi I, Leisk GG, Mazan M, Thane KE, Taeymans O, Hoffman AM, Kaplan DL, Kirker-Head CA. Equine Model for Soft Tissue Regeneration. Journal of Biomedical Materials Research Part B, In Press. Ozkucur N, Quinn KP, Pang JC, Georgakoudi I, Miller E, Levin M, Kaplan DL (2015). Membrane potential depolarization causes alterations in neuron arrangement and connectivity in cocultures. Brain and Behavior 5(1): 24-38. Quinn KP, Georgakoudi I (2014). Monitoring Stem Cell Differentiation in Engineered Tissues. Natural Biomarkers for Cell Metabolism. Gukassyan VV, Heikal AA, Eds., CRC Press, 225-241. Varone A, Xylas J, Quinn KP, Pouli D, Sridharan GV, McLaughlin-Drubin ME, Alonzo CA, Lee K, Münger K, Georgakoudi I (2014). Endogenous two-photon fluorescence imaging elucidates metabolic changes related to enhanced glycolysis and glutamine consumption in pre-cancerous epithelial tissues. Cancer Research 74(11): 3067-75. Hayden RS, Quinn KP, Alonzo CA, Georgakoudi I, Kaplan DL (2014). Quantitative characterization of mineralized silk film remodeling during long-term osteoblast-osteoclast co-culture Biomaterials 35: 3794-3802. Sullivan K, Quinn KP, Tang K, Georgakoudi I, Black LD (2014). Extracellular Matrix Remodeling Following Myocardial Infarction Influences the Therapeutic Potential of Mesenchymal Stem Cells. Stem Cell Research & Therapy 5(1): 14. Hayden RS, Fortin J-P, Harwood B, Subramanian B, Quinn KP, Georgakoudi I, Kopin AS, Kaplan DL (2014). Cell-tethered ligands modulate bone remodeling by osteoblasts and osteoclasts. Advanced Functional Materials 24(4): 472-479. Speroni L, Whitt GS, Xylas J, Quinn KP, Jondeau-Cabaton A, Georgakoudi I, Sonnenschein C, Soto AM (2014). Hormonal regulation of epithelial organization in a 3D breast tissue culture model. Tissue Engineering Part C Methods. 20(1): 42-51. Williams C, Quinn KP, Georgakoudi I, Black LD (2014). Young developmental age cardiac extracellular matrix promotes the expansion of neonatal cardiomyocytes in vitro. Acta Biomateriala 10:194-204. Quinn KP, Sridharan GV, Hayden RS, Kaplan DL, Lee K, Georgakoudi I (2013). Quantitative metabolic imaging using endogenous fluorescence to detect stem cell differentiation. Scientific Reports 3:3432. MacDonald D, Hunter M, Quinn KP, Georgakoudi I (2013). Autocorrelation method for fractal analysis in nonrectangular image domains. Optics Letters 38:4477-9. Chang T, Zimmerley M, Quinn KP, Lamarre-Jounne I, Kaplan DL, Beaurepaire E, Georgakoudi I (2013). Non-invasive monitoring of cell metabolism and lipid production in 3D engineered human adipose tissues using label-free multiphoton microscopy. Biomaterials 34(34):8607-16. Quinn KP, Georgakoudi I (2013). Rapid quantification of pixel-wise fiber orientation data in micrographs. Journal of Biomedical Optics 18(4):046003. Quinn KP, Georgakoudi I, Winkelstein BA (2013). Imaging approaches to quantify tissue structure and function from the micro- to macro-scales. Orthopaedic Biomechanics. Winkelstein BA, Ed., Taylor & Francis, 485-511. Ward A, Quinn KP, Bellas E, Georgakoudi I, Kaplan DL (2013). Noninvasive metabolic imaging of engineered 3D human adipose tissue in a perfusion bioreactor. PLoS One 8(2):e55696. Xylas J, Quinn KP, Hunter MA, Georgakoudi I (2012). Improved Fourier-based characterization of intracellular fractal features. Optics Express 20:23442-55. Quinn KP, Bellas E, Fourligas N, Kaplan DL, Georgakoudi I (2012). Characterization of metabolic changes associated with the functional development of 3D engineered tissues by non-invasive, dynamic measurement of individual cell redox ratios. Biomaterials 33(21):5341-8. Georgakoudi I, Quinn KP (2012). Optical imaging using endogenous contrast to assess metabolic state. Annual Review of Biomedical Engineering 14:351-67. Quinn KP, Winkelstein BA (2011). Preconditioning is correlated with altered collagen fiber alignment in ligament. Journal of Biomechanical Engineering 39(8):2163-73. Quinn KP, Winkelstein BA (2011). Detection of altered collagen fiber alignment in the cervical facet capsule after whiplash-like joint retraction. Annals of Biomedical Engineering 39(8):2163-73. Quinn KP, Dong L, Golder FJ, Winkelstein BA (2010). Neuronal hyperexcitability in the spinal dorsal horn after painful facet joint injury. Pain 151(2):414-2. Quinn KP, Winkelstein BA (2010). Full field strain measurements of collagenous tissue using fiber alignment correlation tracking. Journal of Biomechanics 43(13):2637-40. Quinn KP, Bauman JA, Crosby ND, Winkelstein BA (2010). Anomalous fiber realignment during tensile loading of the rat facet capsular ligament identifies mechanically-induced damage and physiological dysfunction. Journal of Biomechanics 43(10):1870-5. Quinn KP, Winkelstein BA (2009). Vector correlation technique for pixel-wise detection of collagen fiber realignment during injurious tensile loading. Journal of Biomedical Optics 14: 054010. Quinn KP, Winkelstein BA (2008). Altered collagen fiber kinematics define the onset of localized ligament damage during loading. Journal of Applied Physiology 105: 1881-8. Hubbard RD, Quinn KP, Martínez JJ, Winkelstein BA (2008). The role of compression mechanics in axonal damage and decreased neuropeptides for painful nerve root injury. Stapp Car Crash Journal 52:33-58. Siegmund GP, Davis MB, Quinn KP, Hines E, Myers BS, Ejima S, Ono K, Kamiji J, Yasuki T, Winkelstein BA (2008). Head-turned postures increase the risk of cervical facet capsule injury during whiplash. Spine 33(15):1643-9. Quinn KP, Lee KE, Ahaghotu CC, Winkelstein, BA (2007). Structural changes in the cervical facet capsular ligament: potential contributions to pain following subfailure loading. Stapp Car Crash Journal 51:169-87. Quinn KP, Winkelstein BA (2007). Cervical facet capsular ligament yield defines the threshold for injury and persistent joint-mediated neck pain. Journal of Biomechanics 40(10):2299-306.